Well, it’s that time of year again… summer is but a distant memory and the glory that is fall has faded to shades of gray and brown. You may be looking at your garden with feelings of dread, knowing we won’t be seeing any real signs of life for another few months here in the Pacific Northwest. Don’t despair, there’s still plenty of color to be hard – not in the form of petals but needles! Winter is when conifers really shine. During spring and summer they take a back seat to their noisy neighbors – think peonies, hydrangeas, roses… they’re bold, sometimes brash and our conifers just wait, knowing their moment will come. Well this is it. 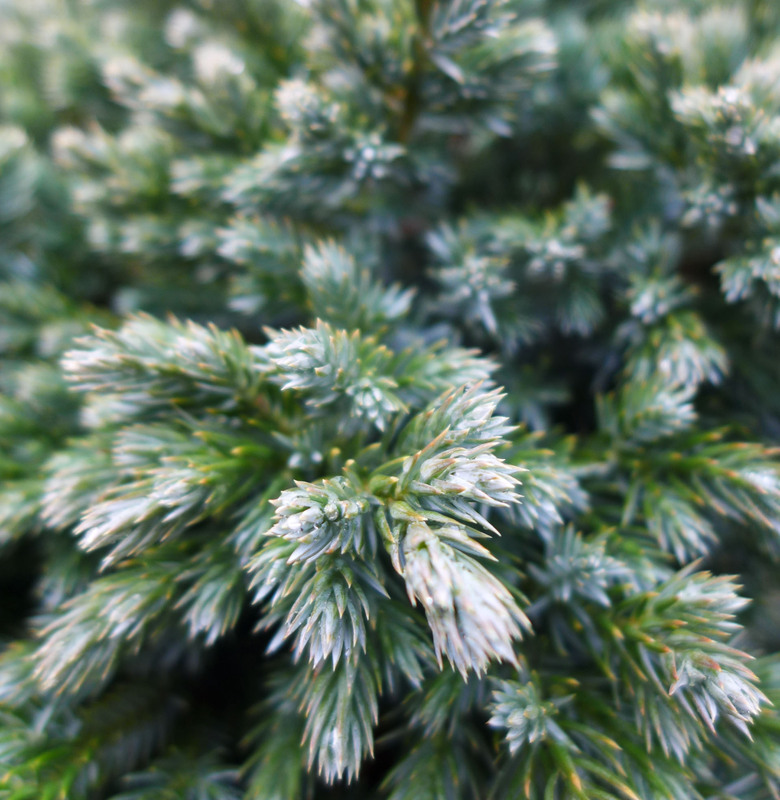 The ideal is to have a strong foundation of evergreen plants, such as conifers, in your garden, so that when winter rolls around you’re not left looking at barren earth. 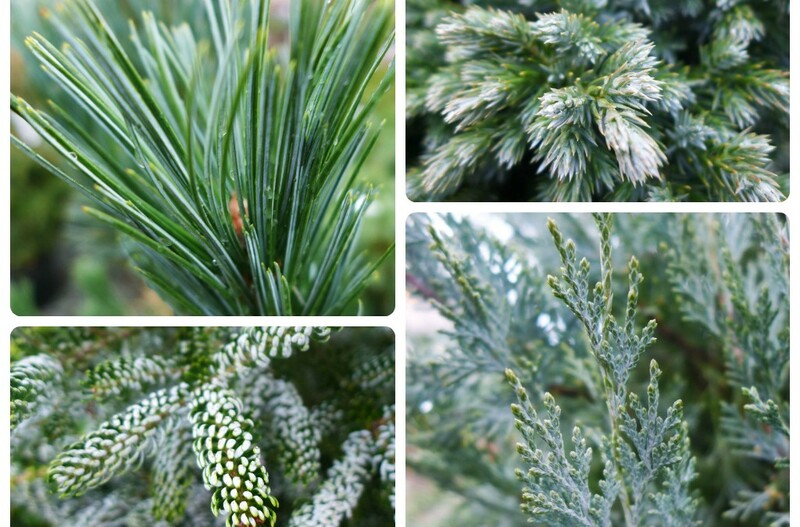 I’ve decided to share a few of my favorite conifers; some tall, some low, some wispy, some weeping… but all with a dash of color to brighten your garden during these cold, often dreary months. The conifers I find most appealing are those whose brightness comes from having either gold foliage or silvery blue foliage. The term for the later is called glaucousness – or covered in a whitish bloom giving it a blueish green color. 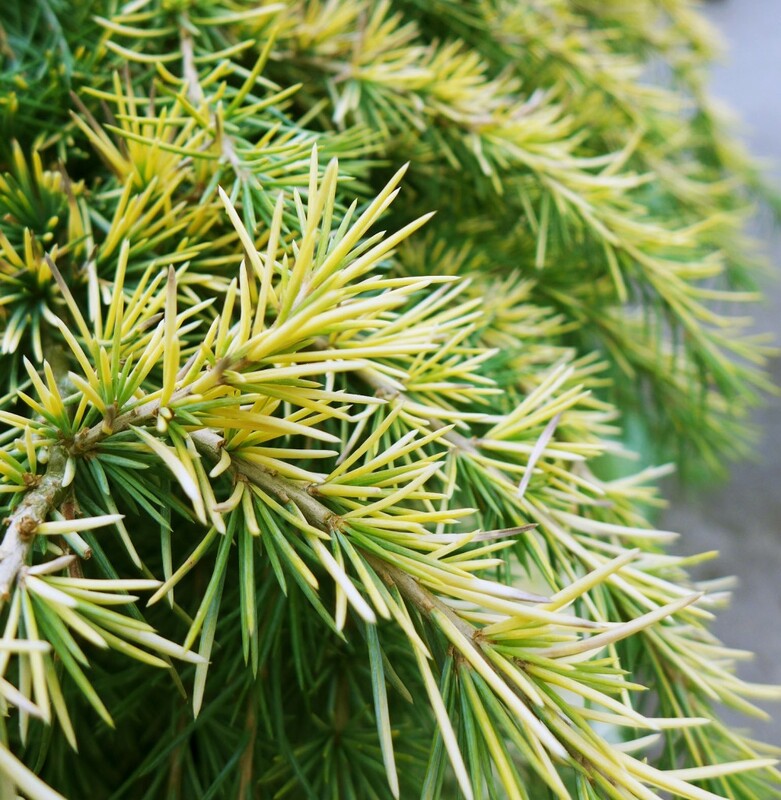 Feelin’ Sunny is a spreading conifer with a gently weeping habit. It looks gorgeous when given the chance to cascade over rocks in the garden or as an accent plant in an container arrangement. It likes full to partial sun and at maturity is will reach approx 4 to 6 ft tall by 7 to 8 ft wide. Do you have an under appreciated corner in your garden in need of a little light? Gold Rider, with it’s striking chartreuse and gold foliage, is your plant. It works perfectly as a focal point, drawing the eye out into the landscape. It prefers full sun and grows to be 35 ft tall and 15 ft wide. 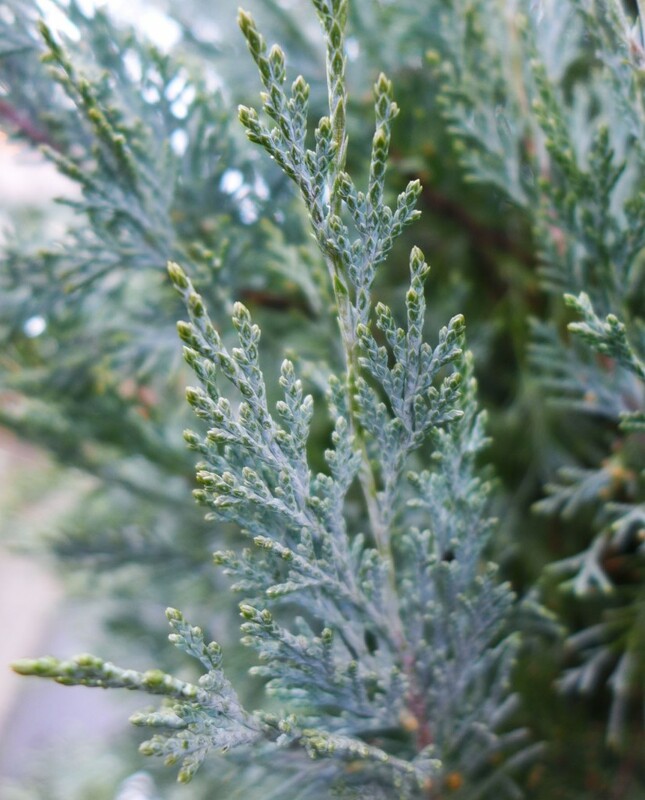 Wilma Goldcrest Cypress is a classic dwarf conifer. It’s tight pyramidal shape makes it perfect for containers or as a specimen plant in the garden. Plant it in front of plants with dark or bold foliage for stunning contrast. The lemon scented foliage is just an added bonus with this beauty! It grows best in full sun and can reach 6 to 8 ft tall and 2 feet wide at maturity. 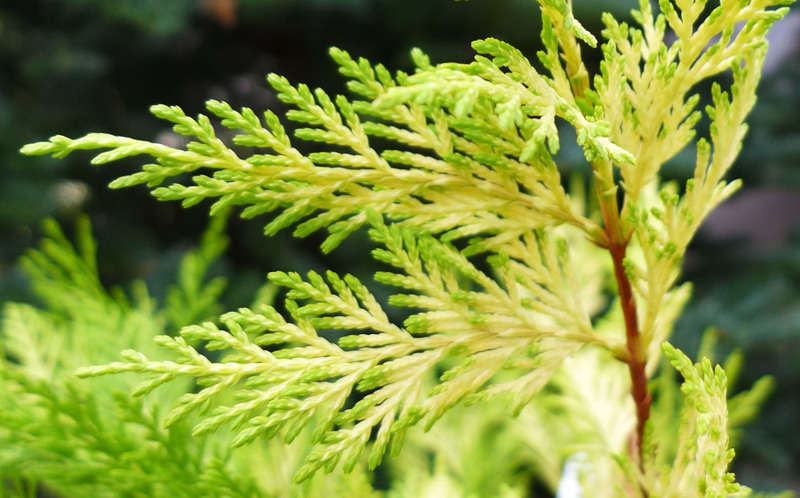 The appeal of Golden Elegans Japanese cedar is not only it’s striking color, but it’s wispy texture. It’s open, delicate foliage gives it an airy appearance. Because of it’s unusual foliage, it works best as a specimen plant in the garden. Place it where it can be appreciated. Golden Elegans prefers partial to full sun and will grow to 15 tall and 10 feed wide over time. Vanderwolf’s Pyramid Pine is one of my favorites. It’s stiff bundles of needles look like brushes dipped in white paint. It has an upright branching structure that gives it a strong presence in the garden. It prefers full sun and will grow to approximately 20 ft tall and 10 ft wide over time. Now if the Vanderwold Pyramid Pine was ‘one’ of my favorite blue colored conifers, Horstmann’s Silberlocke ‘is’ my favorite. I mean come on, can you get over this foliage? It doesn’t look real. 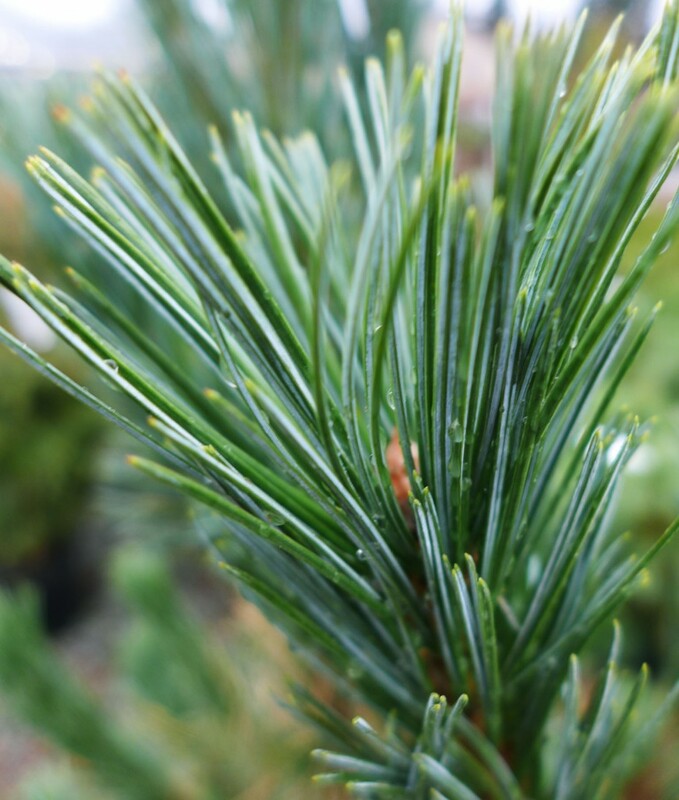 If flocked Christmas trees are your thing, buy a live Horstmann’s Silberlocke this year and plant it in March. You’ll love it forever. It’s branches are covered in needles that fold upward showing their white (glaucus) underside. The affect is magical! Horstmann’s Silberlock prefers full sun and will grow to 10 ft tall and 6 ft wide in 10 years. It will eventually reach 20 ft tall. I promised I’d have a low growing variety, well here it is. Blue Star Juniper works fantastically well as a groundcover. 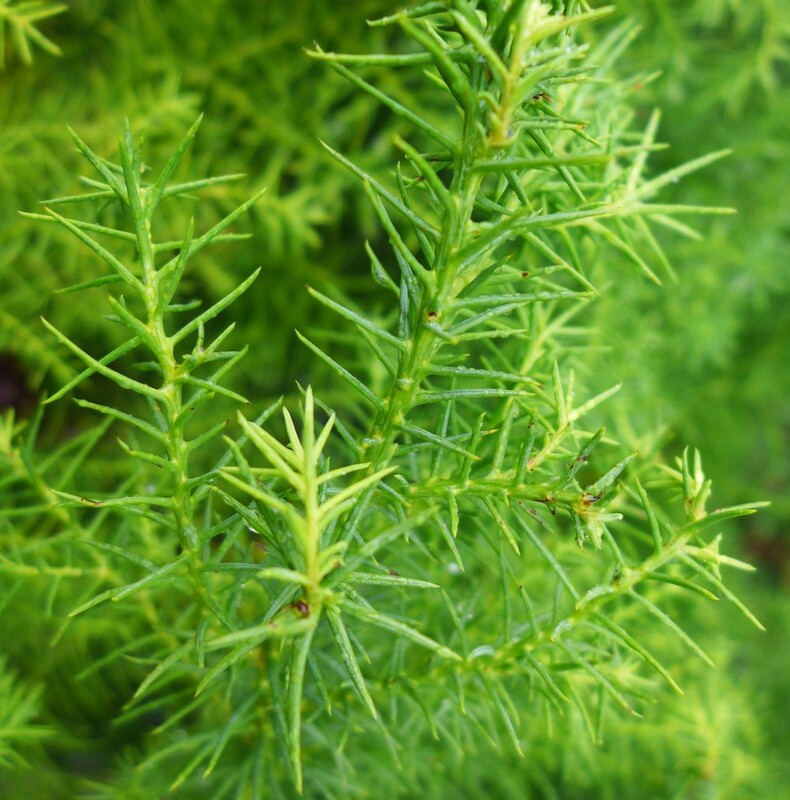 It’s spiky tipped foliage is arranged in tight clusters giving it the appearance of a star, hence the name. It works particularly well in rock gardens. 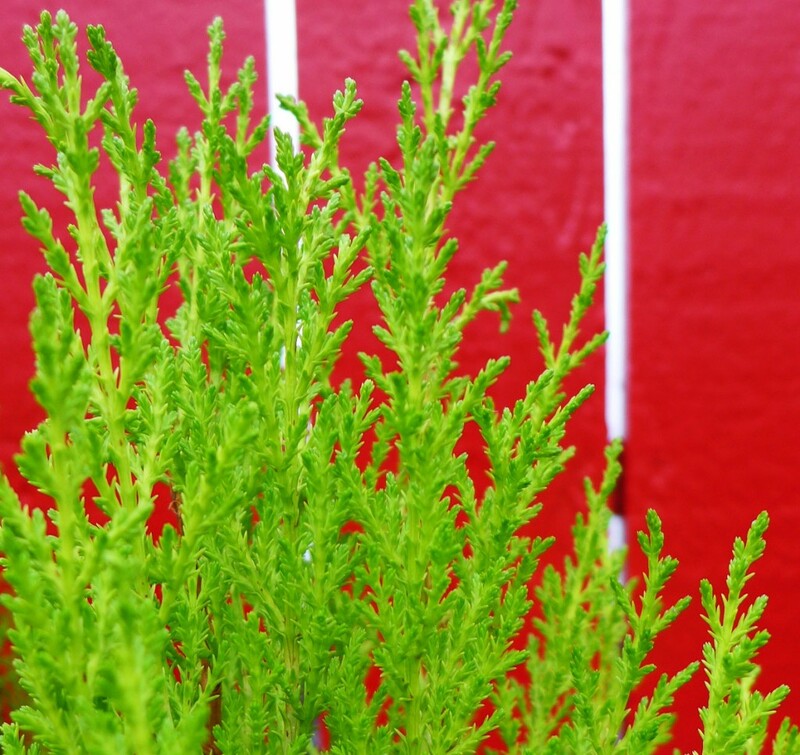 It grows to approximately 2 ft tall and 3 to 4 ft wide and likes a sunny spot in the garden. Wichita Blue makes an excellent hedge or screening plant. It has an upright pyramidal shape and grow to 12 to 15 ft tall and 4 to 6 ft wide. Choose Wichita Blue for year-round silver blue color! Weeping Blue Korean Cedar is another low growing option. 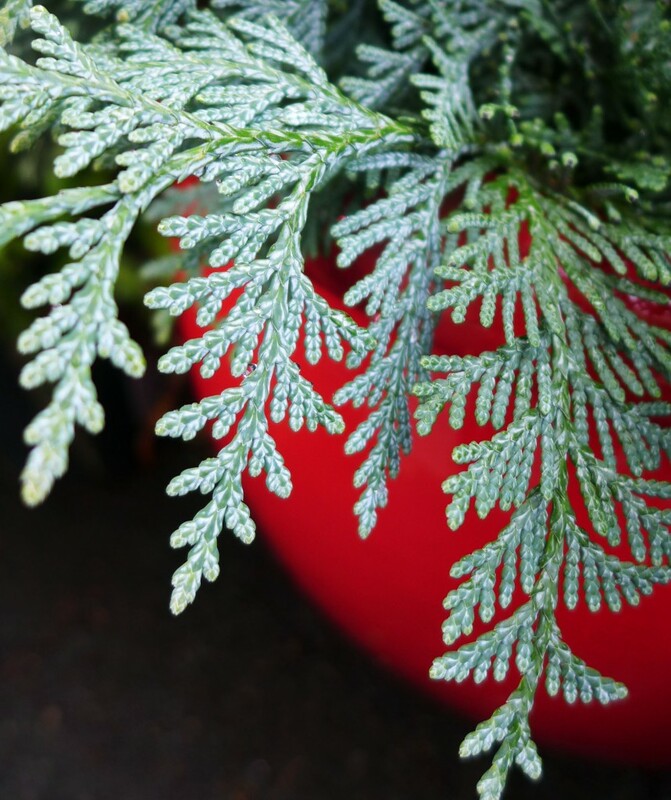 It’s graceful fern-like foliage appears to twist and dance, showing it’s twinkling blue tinged underside. It will grow to 2 ft tall and 3 or 4 ft wide over time and prefers a sunny spot on the garden. Who say’s winter has to be drab?! 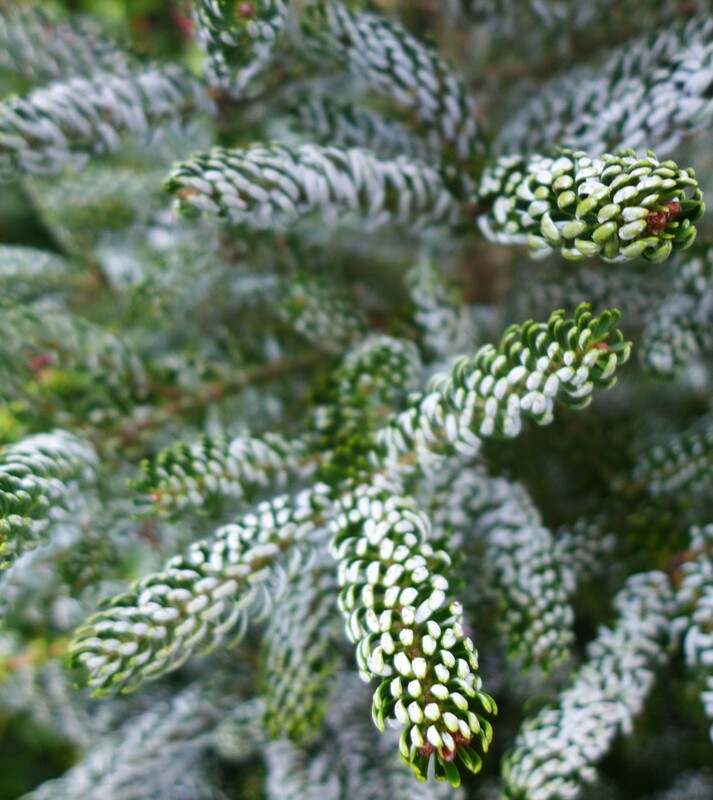 These conifers – and trust me, there are many many more – prove it’s possible to have color in the garden year-round. I’d love to hear what your favorite conifer is.